Just Add Ink #331....Just Add Wings! 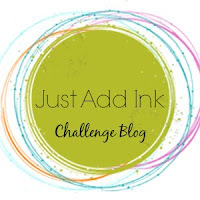 Welcome to a brand new challenge here at Just Add Ink! The possibilities are endless. So have fun and we look forward to seeing your winged things! 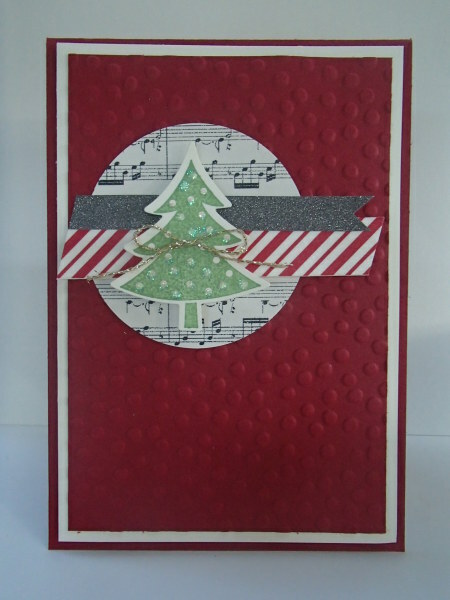 The team has voted and our winner for this week is this gorgeous Moroccan creation from Crystal. 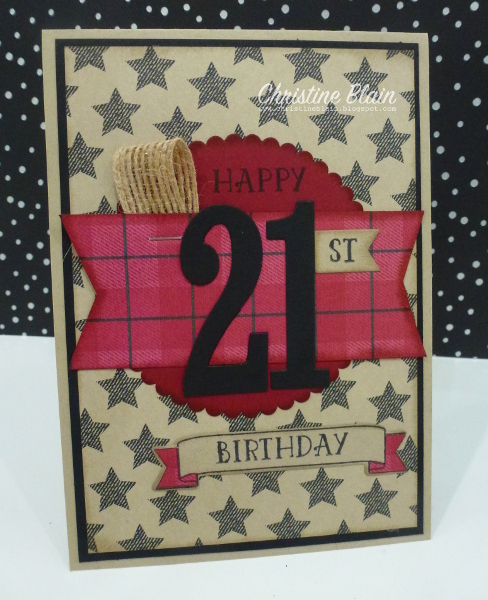 Elegant and exotic, the colours and designs really caught my eye! Stunning! I love the contrast between her bold background and clean images. 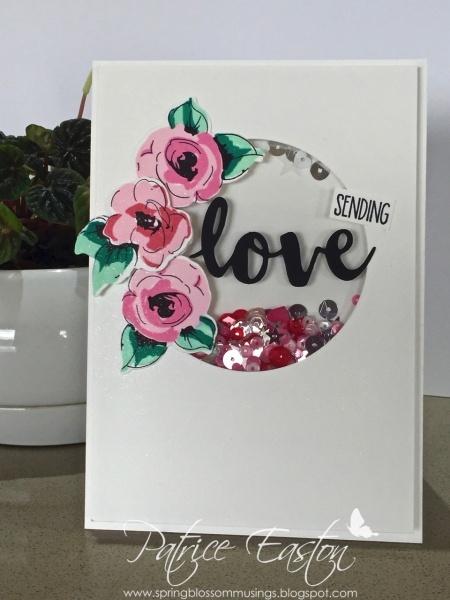 I love Crystals use of colour on this beautifully put-together card. Great, bold colours, and a fun card. 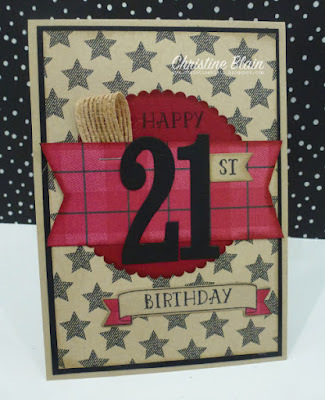 A fabulous bold and fun card. So cute and her matching sentiment made me laugh out loud! Too cute, and very clever to add the nursery rhyme to the cards - a lovely set. 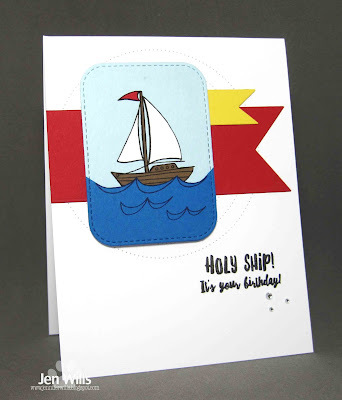 Gorgeous set of sweet nursery rhyme inspired cards are just delightful. 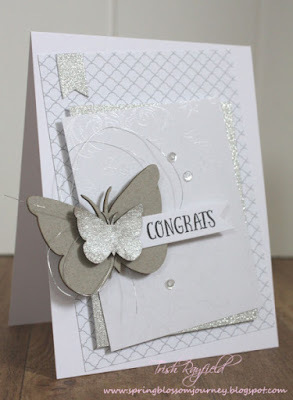 Such a lovely set of cards, a gorgeous design and I love the sparkly touches. 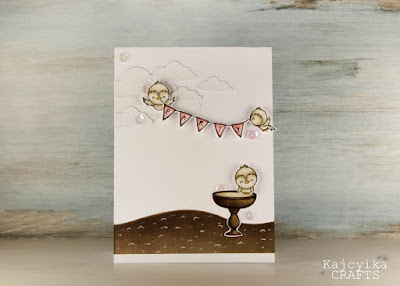 It's time for a new challenge at Just Add Ink and this week we have a sketch for you from me (Kim). The sketch is your guide but remember you can flip it, turn it or even reverse it to make it suit your needs. 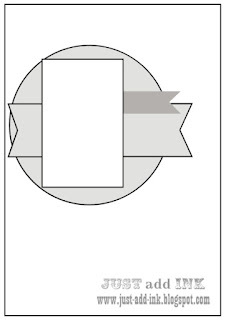 We will be looking forward to seeing what great ideas you come up with. 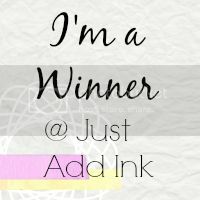 it's Thursday and that means it's time to announce the Just Add Ink winner! Thank you to all who joined us for our inspiration challenge, the lovely tulips in the picture really inspired some gorgeous creations. 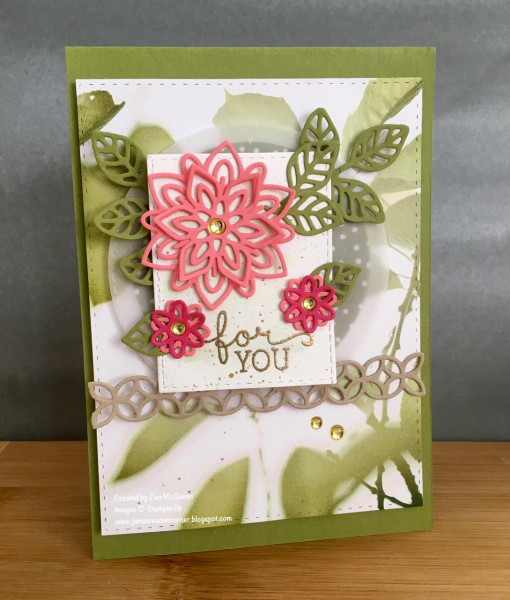 It wasn't easy but we had to pick just one to be the winner and this week Jo Stubbings was our top choice with this delightful flower filled card. A stunning emboss resist creation, the soft colours are just delightful. 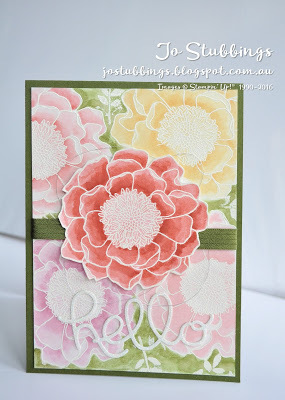 I love the glorious, big, flowers, and Jo's use of green throughout. 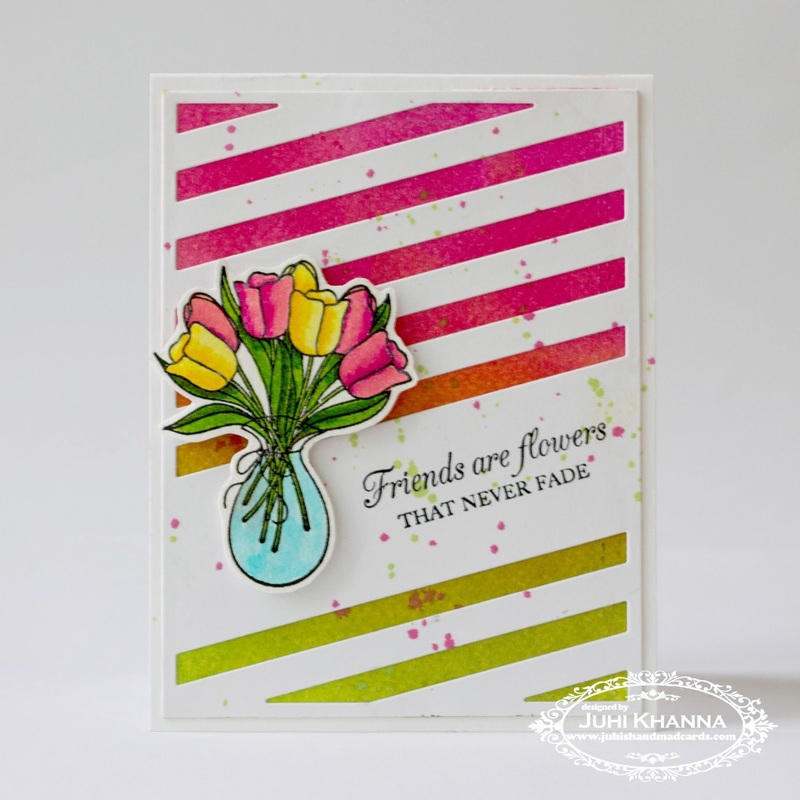 Love the mix of colours and arrangement of flowers. 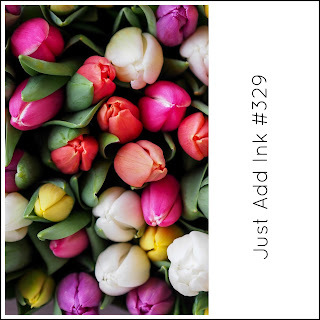 I adore the depth of colours in her striped background and such a sweet vase of tulips! Love her bright and bold colour combination! Love how Kelly teamed the vellum & sentiment with her beautiful watercoloured blossom background. 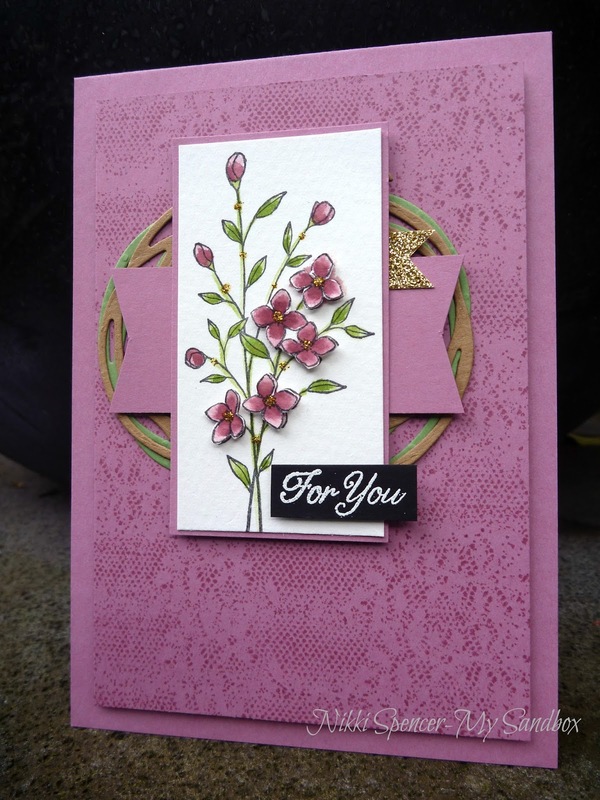 This is such a lovely soft card - I adore her coloured flowers. Love the pretty watercolouring and cute and creative sentiment. 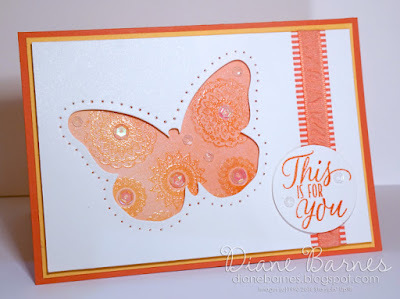 Welcome everyone - this week Di has provided a very pretty Inspiration Challenge for us to play with. JAI # 328 Winners !!! so, let me get on with it aye? 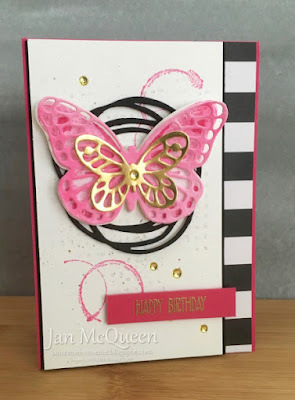 Just Add Ink Challenge # 328 (Just Add P! 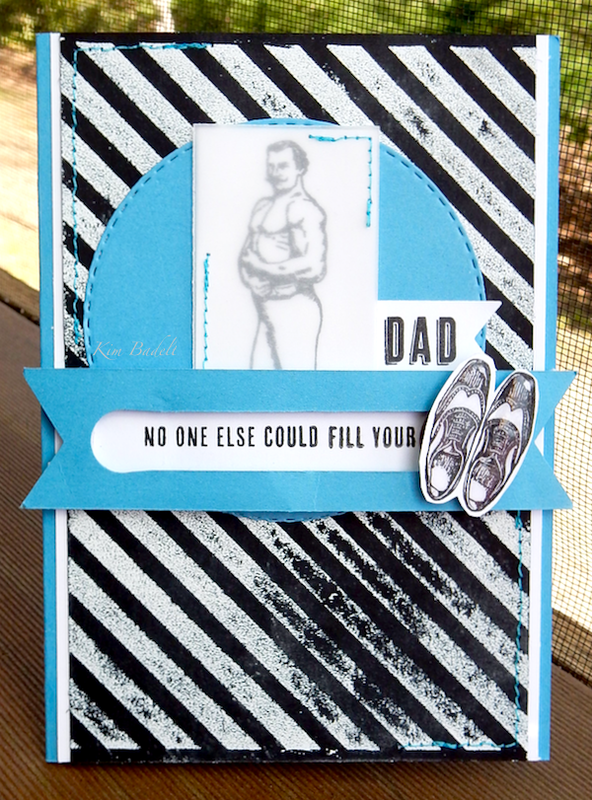 ), proved to be a popular Challenge. 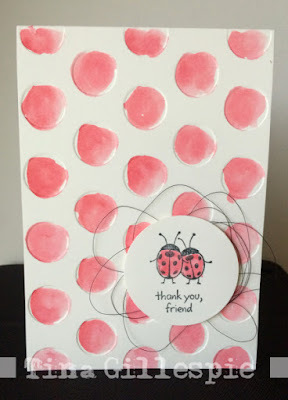 It was really wonderful to see all the ways you Added ...P!! 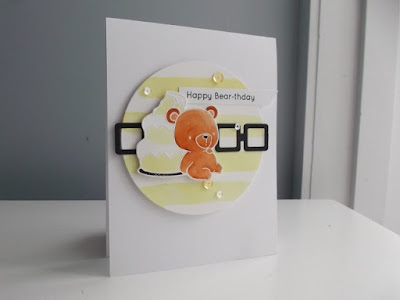 I always really enjoy seeing all the techniques, colour combos and project ideas that you come up with. 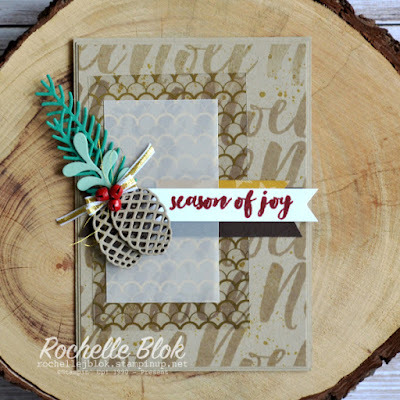 And I gather a lot of inspiration from the projects you share with us. 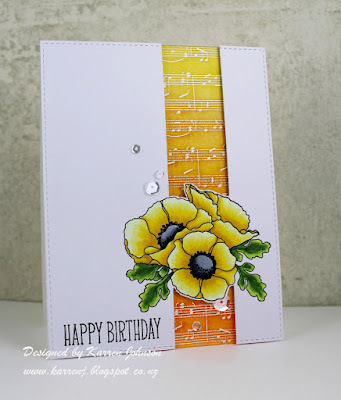 "Stunning poppies and love the yellow colouring with the embossed musical notes"
"A breathtaking, vibrantly coloured creation. Stunning!" 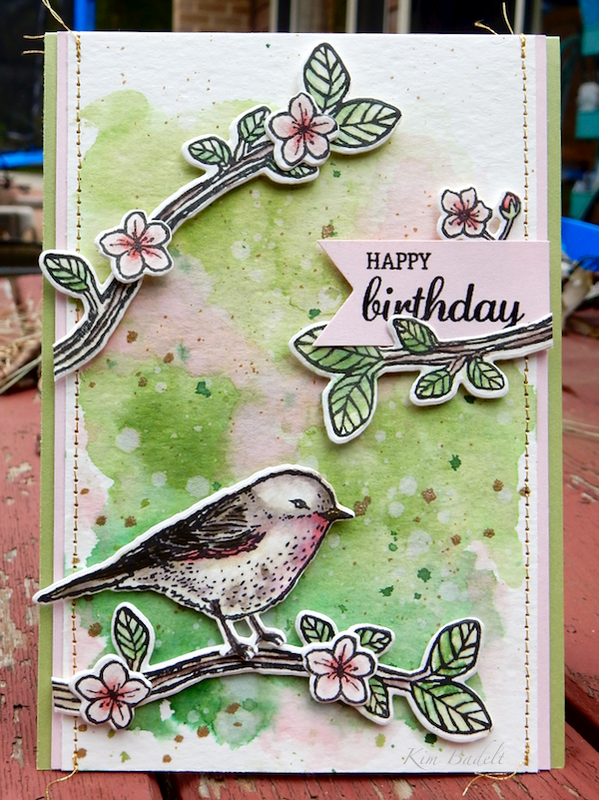 "Karren's gorgeous blooms pop right off the card thanks to her wonderful colouring, shading & layout"
"This gorgeous scene filled with puffy clouds and cute birds is a sweet delight"
"Such sweet images, and a beautiful colour combo. A delightful card!" 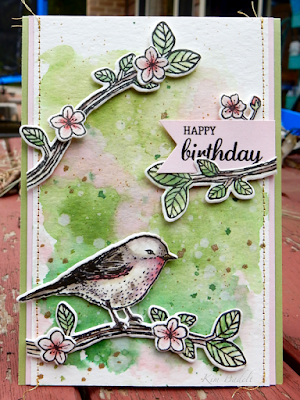 "Such sweet little birds, coloured beautifully! This card brings a smile to my face"
"I love how realistic her pine branches and cones look surrounding her sky - perfectly peaceful!" "Maura created such depth of colour & detail in her beautiful one layer card"
"Maura created a wintery scene delightfully vibrant, festive and filled with colour"
Just Add Ink #328...Just Add "P"
This week Tina has suggested a fun letter challenge for us to all use in our projects....Just Add "P". There is so much scope for you to show us something you love or maybe something new and we look forward to seeing it!